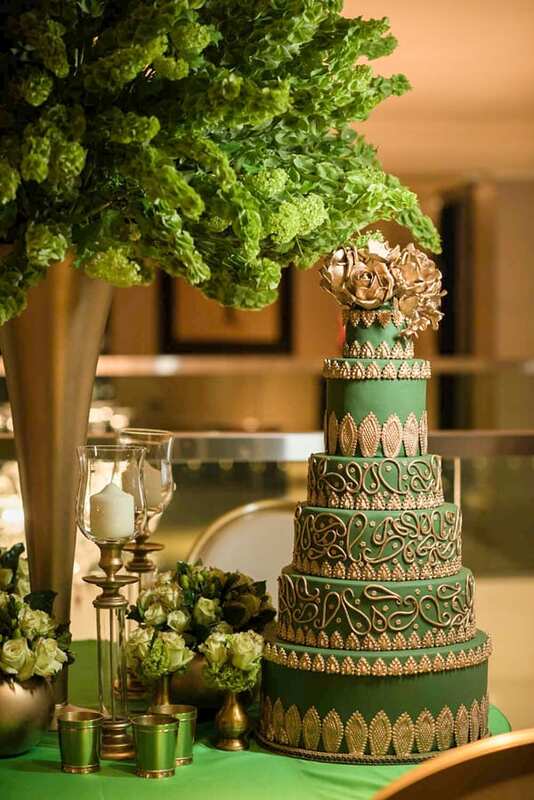 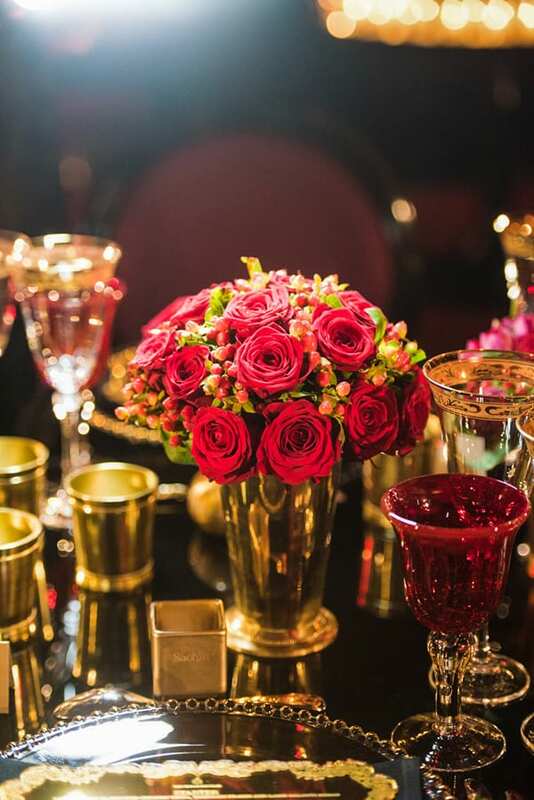 Earlier this year, Think Shaadi hosted an exclusive couture wedding event called The Jewel of Mayfair in London, bringing together the best in luxury from the east and west, and showcasing some of the industry’s premium suppliers. 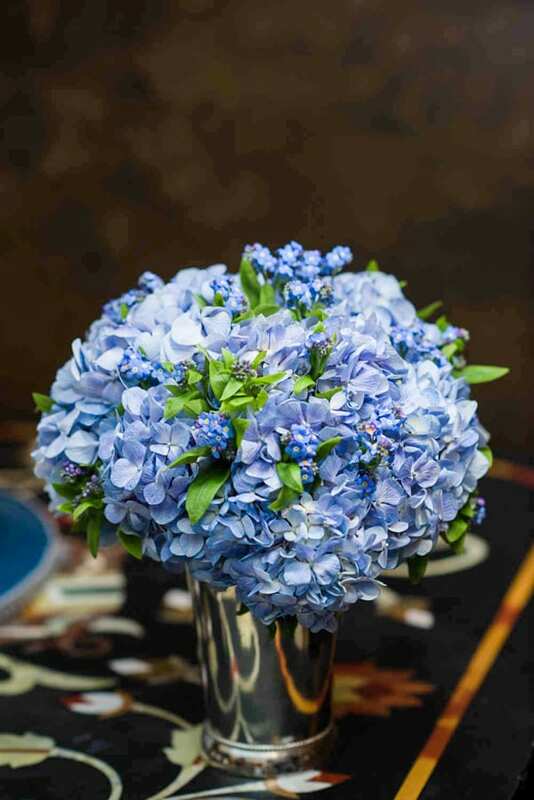 Today, I’m delighted to share with you images of the beautiful floral designs, which were created by florist Rob van Helden. 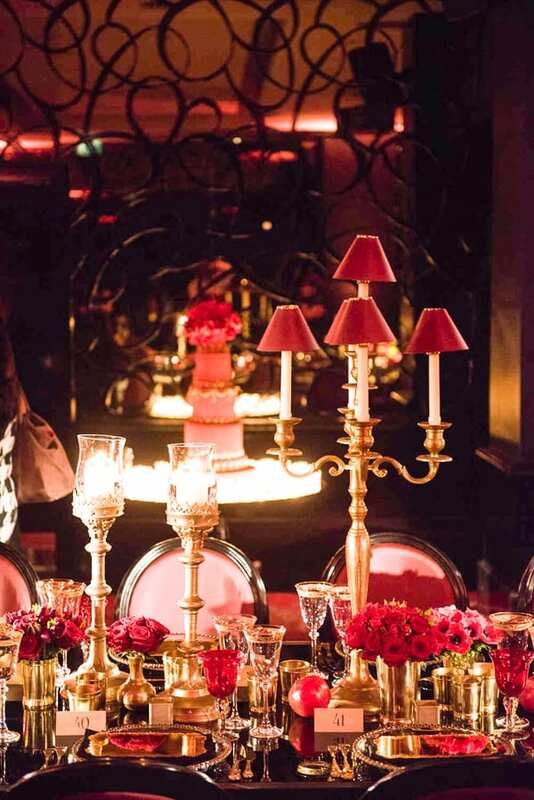 The event was based on the theme of four jewels : diamond, sapphire, ruby and emerald. 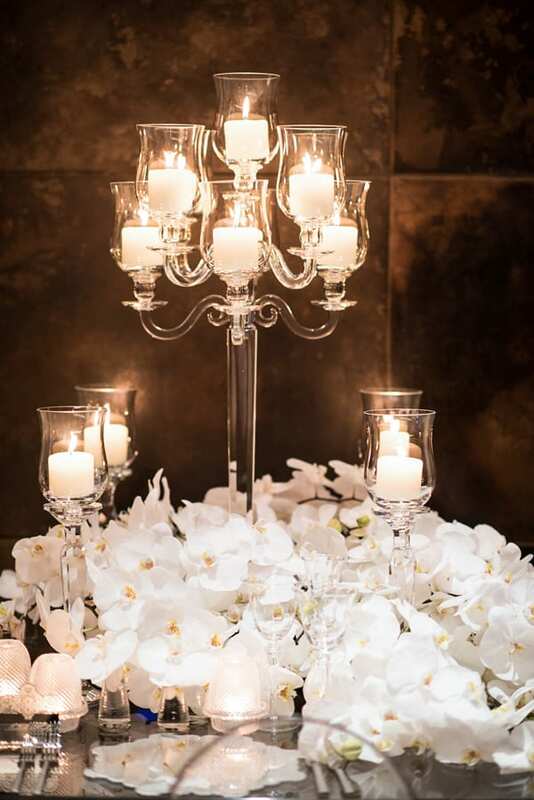 For the Diamond area, white Phalaenopsis orchids were arranged with crystal candlesticks and votives. 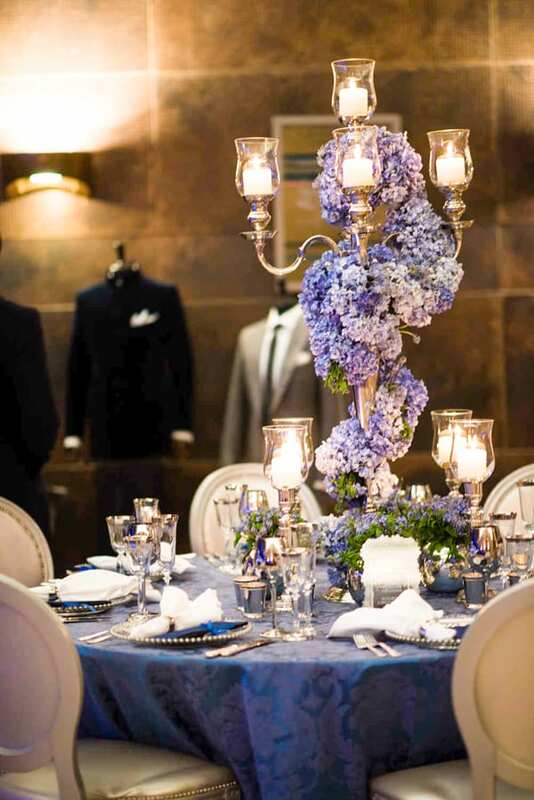 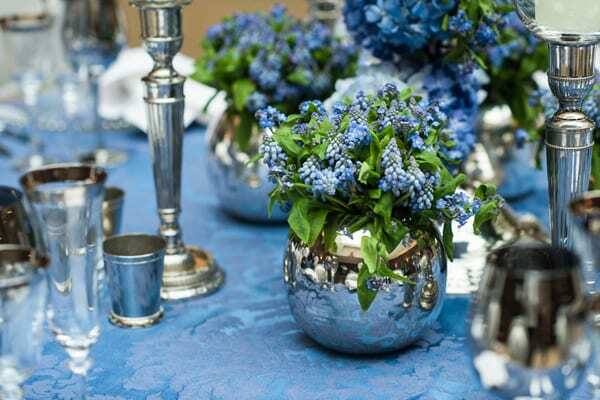 A wraparound garland of blue hydrangeas on a silver candelabra took centre stage in the Sapphire area, complemented by vases of muscari (grape hyacinths), myosotis (forget-me-nots) and hydrangeas. 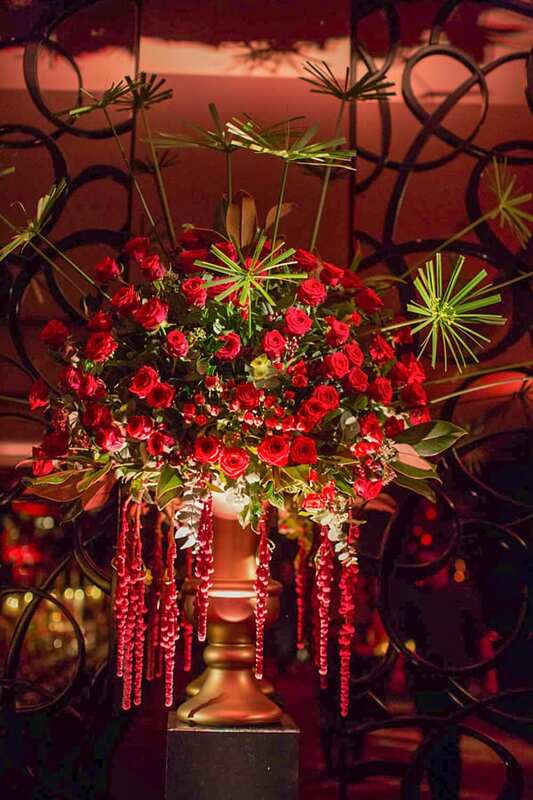 In the Ruby area, there was a 50ft long feature table dressed with ‘Grand Prix’ roses, tulips, anemones, hypericum and spray roses. 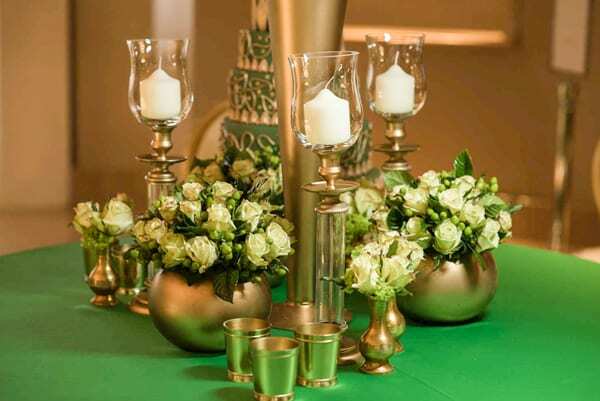 A tall design featuring moluccella (Bells of Ireland) and viburnum opulus (guelder rose) towered above the Emerald area. 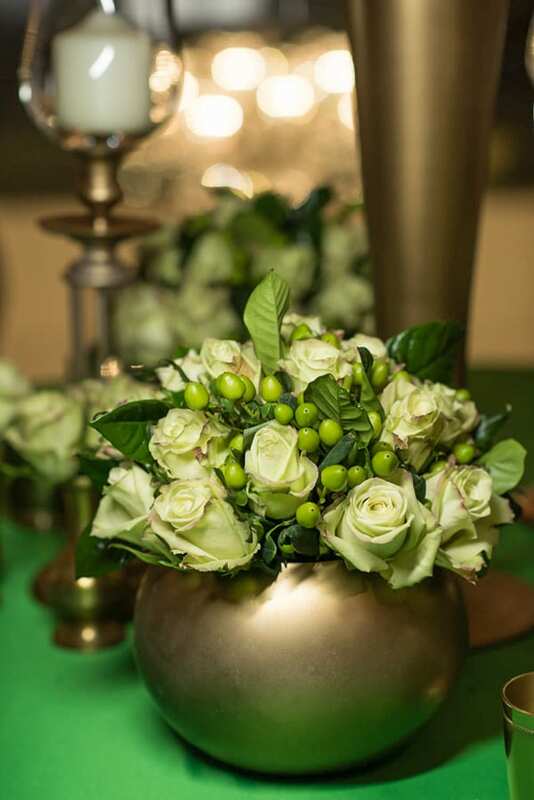 And around the base of the arrangement, there were vases featuring roses, hypericum and camellia foliage. 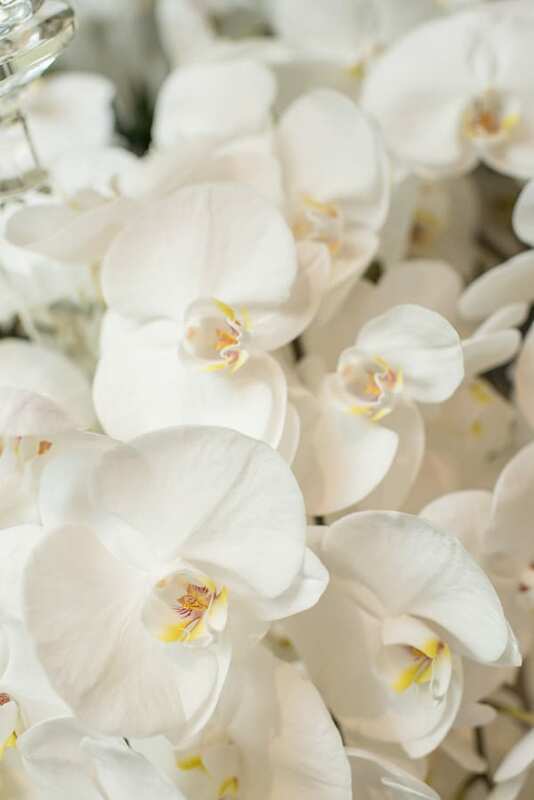 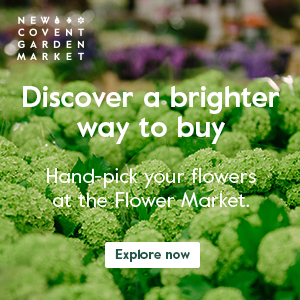 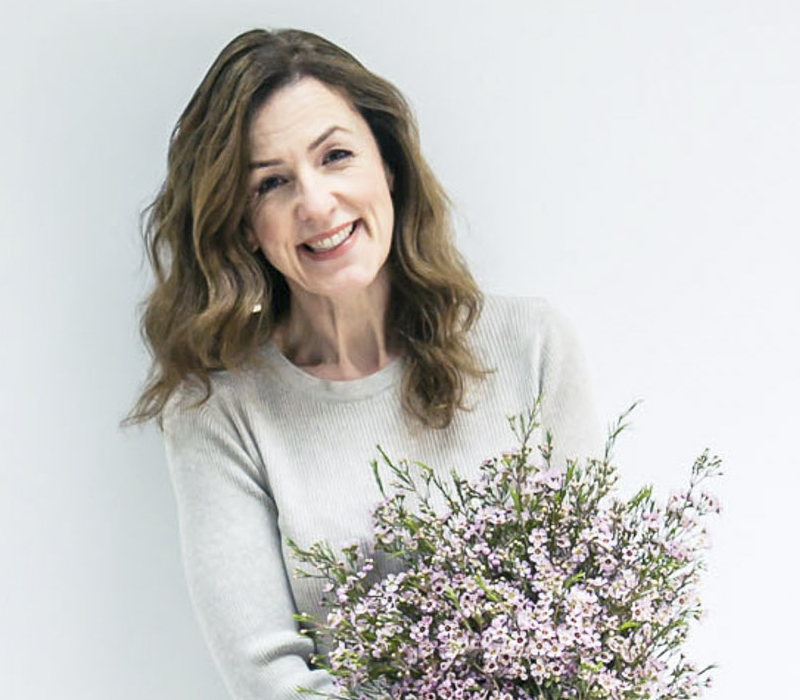 So, if you’re a bride-to-be or florist, I hope today’s blog post has provided you with lots of wedding flowers inspiration. 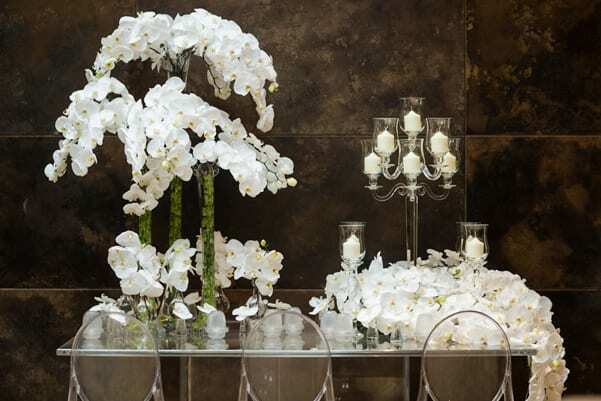 If you’d like to see more of Rob’s wonderful floral creations, simply visit the Rob van Helden website.